Doric is Design System foundation written in Swift. Protocol oriented and type safe scalable framework to create Design System. Design System foundation written in Swift. Protocol oriented, type safe, scalable framework for iOS. Generates Swift code snippets for Doric framework. Not in specific orders to achieve it. Open the new Doric folder and drag the Doric.xcodeproj into the Project Navigator. Select the Doric.xcodeproj in the Project Navigator and verify the deployment target matches that of your application target. Next, select your application project in the Project Navigator to navigate to the target configuration window and select the application target under the "Targets" heading in the sidebar. You will see Doric.framework nested inside a Products folder. 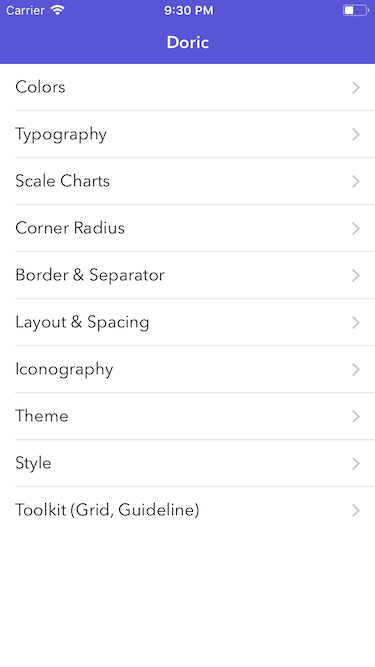 Select the Doric.framework for iOS. You can verify which one you selected by inspecting the build log for your project. The build target for Doric will be listed as Doric. Doric.framework is automagically added as a target dependency, linked framework and embedded framework in a copy files build phase which is all you need to build on the simulator and a device. Doric is open to contribute, see contribution notes. If you need help with a feature or need to discuss best practices please see usage document , still anything to discuss contact me (doricdesignsystem@gmail.com). The Doric order was one of the three orders of ancient Greek and later Roman architecture, Doric is named based Doric_order. Hence provides pillars for your digital products. As the number of devices screen variants and environments are increasing, so there is need to create scalable interface Design Systems. It is required to implement all parts of Doric? Doric provides various building blocks to implement interface. All blocks can be used independently or can be composed as needed. For example your app can use Typography only or Color Palettes. Better practice would be compose all them into single Design System. It also allows you to use any of these blocks with other third part frameworks. For example Spacing and Layout can be used any other third party frameworks. 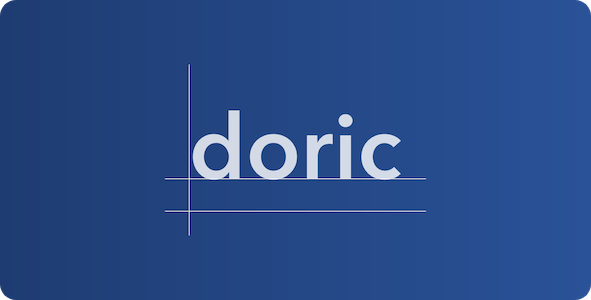 Doric is influenced by various Design System guidelines and many stackoverflow posts. Brad Frost, author of Atomic Design : “comprehensive collection of the bits and pieces that make up your interface”. Doric is released under the MIT license. See LICENSE for details.